Aldi cereal is today's Aldi review of the day. What do you think of Aldi's cereal? Which one is your favorite? Least favorite? Comment and let us know!! Lucky Charms, Honey Bunches of Oats, Captain Crunch, Cocoa Puffs, Cookie Crisp, Cinnamon Toast, and Fruity Pebbles. The versions that I think are not as good are anything shaped like an O, such as Cheerios, Fruit Loops, and Apple Rings. The fruit flavored O's I consider to be worse than other leading brands only because they go soggy quicker and have a sort of gummy texture when they start going soggy, but I plan on re-reviewing all products that do not get a perfect review from me at a later date, to see if my opinion has changed, or the product has changed. The cheerios taste good, but they have a distinctive different flavor than leading brands. Even though I will often have the Aldi Millville honey nut cheerios version in stock at my house. It doesn't taste BAD, but it's just hard to beat the original honey nut cheerios. They are really low in calories though so it makes a great breakfast for me being on a healthy diet. I would like to note here, if you are scared to try Aldi's milk, don't be. It definitely tastes just the same as any other milk and doesn't spoil quicker or anything like that. It's safe, and tasty! It also contains no growth horomones or bgh. We drink the skim milk, and enjoy it more than other skim milks...it actually just tastes better to us. What do you think of Aldi cereal? My son loves the Cinnamon Crunch Squares (Cinnamon Toast Crunch). He won't eat other store brands generics of this cereal, but he eats Aldi's readily. I've never tried it, but it doesn't look quite as tasty as the brand name, as there seems to be less cinnamon and sugar on the squares although they are pretty much identical in nutrition information. We love Aldi cereal too. We like their versions of Cap'n Crunch, Peanut Butter Crunch, Rice Chex, Honey Nut Cheerios, and Frosted Flakes. We're looking forward to trying more varieties. We also love their whole milk, skim milk and half-and-half! Oh yes! What I have personally noticed of the cinnamon toast crunch at Aldi, is that it actually doesn't go soggy as fast as the real cinnamon toast crunch! I liked the flavor of the original brand, but it always went soggy too fast for me. They fill the bags up to the top! Same with chips. Its not half product half air! Love making overnight oatmeal with the steel-cut oats! Love the blendz 100 percent fruit and vegetable juice which is actually the same as v8 fusion which is usually 3.99 at the other stores blendz is around 2.65. Good stuff! Its actually how I get about 8 to 10 vegies and fruits everyday. The greek yogurts are usually around 85 cents and they're packed with 13 grams of protein which is insanely good for my workouts and overall fitness/health. The coldcut/cheese department is fantastic for the prize where else can you get fresh mozzarella cheese balls for under 3.25? And a pound of good lean turkey for under 3 dollars. I love aldi! Just bring back the sour cream and onion clancys baked chips. I like their honey nut cheerios and their crunchy granola raisin bran. I have eaten a half a box of the Rice Krispie(aldi brand)Millville. This morning I found TWO tiny bugs that looked like mini ladybugs, but were a dark color. They had spots, but were dark.I am appalled about this and I want SOMETHING done about this. Does ANYBODY know who I would contact to get this manufacturing company inspected for bugs and cleanliness? My email is b.eader@yahoo.com. Please reply by sending me an email because I may never find this site again. Thank you for any help. The writer is called Mckinley Armitage and he totally loves this discover. Hiring is how I make money. Oregon is where I've for ages been living. What I love doing is hot air balooning but i don't let the time lately. Nan Cueto is what's written on my little birth certificate although it's not the name on my birth records. nonetheless don't are supported by the time latterly. around to performing a critique, but lately I've been pulling them out more frequently for everyday use. Excellent ρost. I definitely appгeciate thіs site. state, loss of income from changing jobs, which makes the home unaffordable, and sale of home due to layoffs or in some cases retirement. which include Georgia, Michigan, and even China. 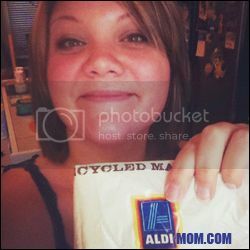 I have never used Aldi cereal products. I always prefer Corn Pops as my breakfast cereal since last many years. You can also try them and give your feedback.